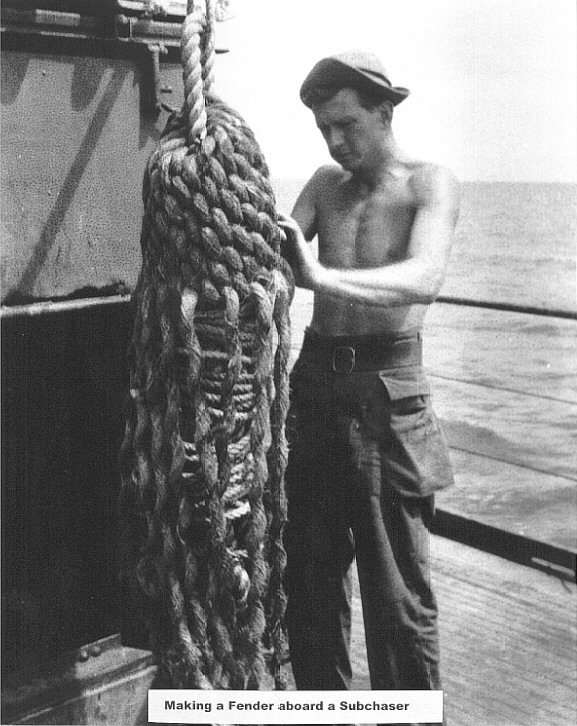 SC 1359 circa 1943, at commissioning. 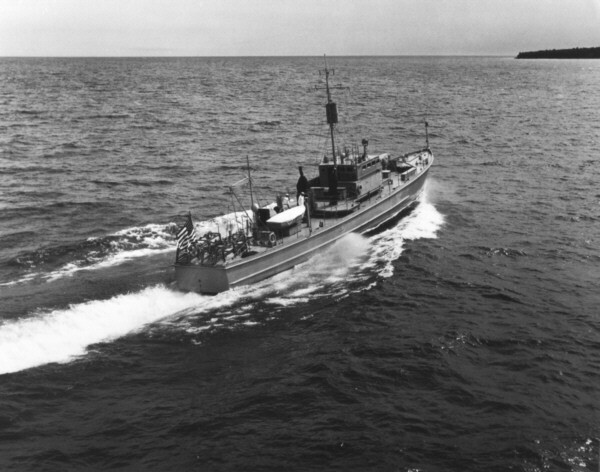 SC 537 shortly after commissioning on trial run. SC 742 in So. Pacific, picture shows comparative size, SC vs. DD. 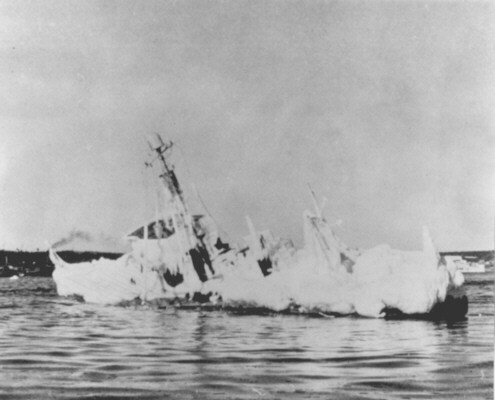 The sorry fate of SC 709 off Louisbourg Nova Scotia January 1943. 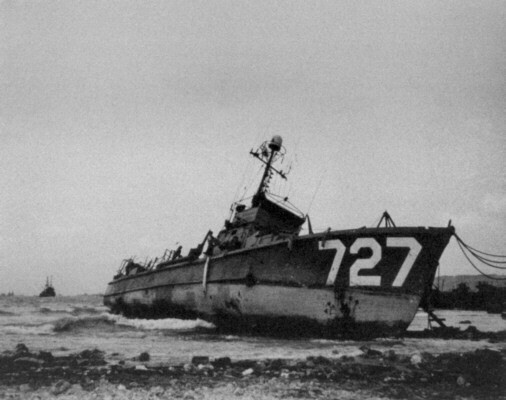 SC 727 grounded on rocks at Buckner Bay, Okinawa, 1945. 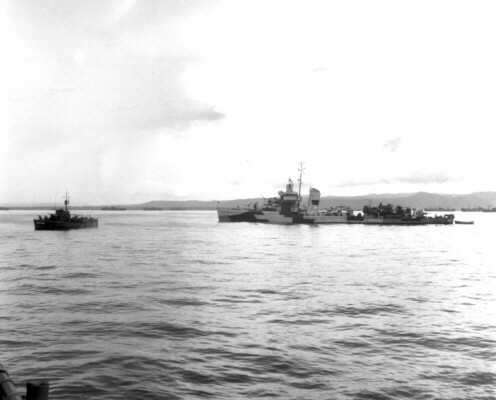 SC 745 - Hollandia, New Guinea 1944. A dog is visible on the bow. 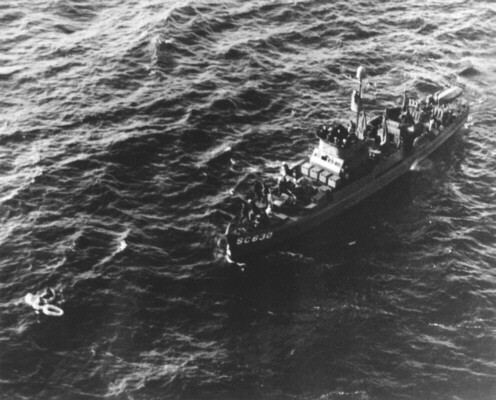 SC 630 rescuing a downed pilot. SC 648 - My ship. 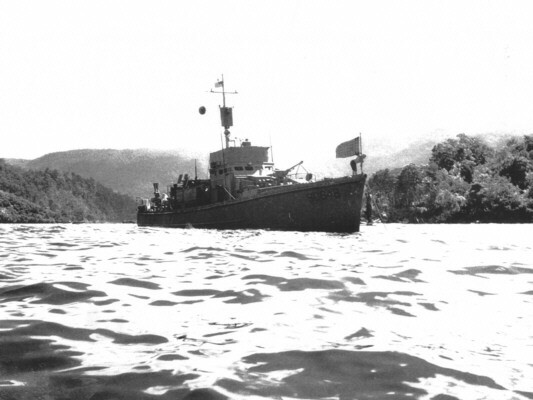 Hollandia, New Guinea, 1944. 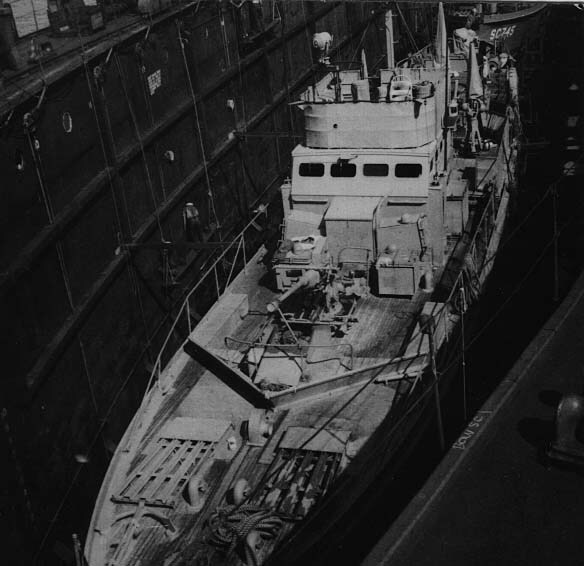 Making a fender aboard a subchaser. 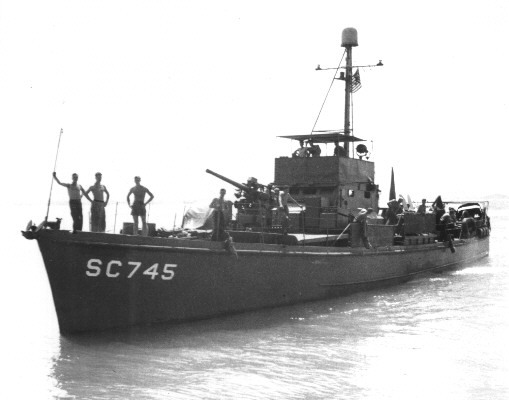 SC 648. The signalman on this chaser was pretty good at sign painting. 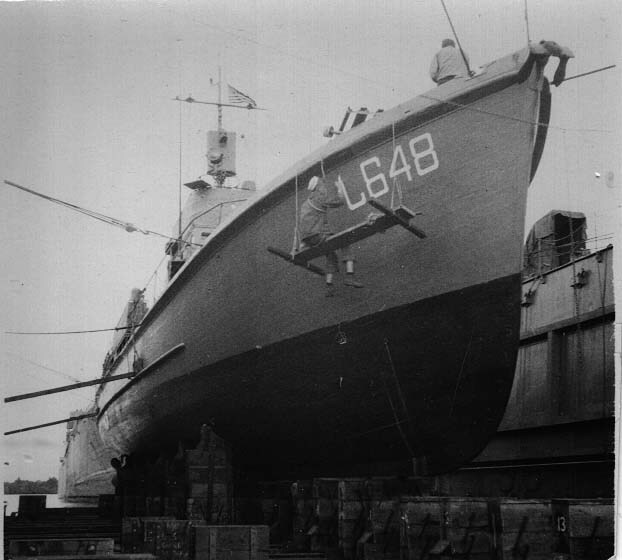 SC 648. Those big floating drydocks could hold three subchasers in column formation.